Clear and Open Communication. Cut to the chase immediately and say straight out loud precisely how good or bad a situation is. As one of the fastest-growing profitable FinTechs in the world, we do not have time to waste. The same goes for time management and decision making. We just do not have time to have a meeting about a meeting or a call for the sake of it. I instill in all of my employees the importance of having control over how they prioritize and have control over their working day. It is equally important to the company to ensure our staff enjoy a high-quality work-life balance. We strive to have the right mix and a positive environment to reinvent the future of e-money for our customers. Most of all, I want to be treated like everyone else in the business and I hold myself accountable to set a good example when it comes to work ethic, communication style, timekeeping, an open-door policy, and being available to my hardworking teams. It is also nice to kick back and socialize with colleagues when I can between working from our offices in different countries and traveling for business meetings and guest speaking invitations. 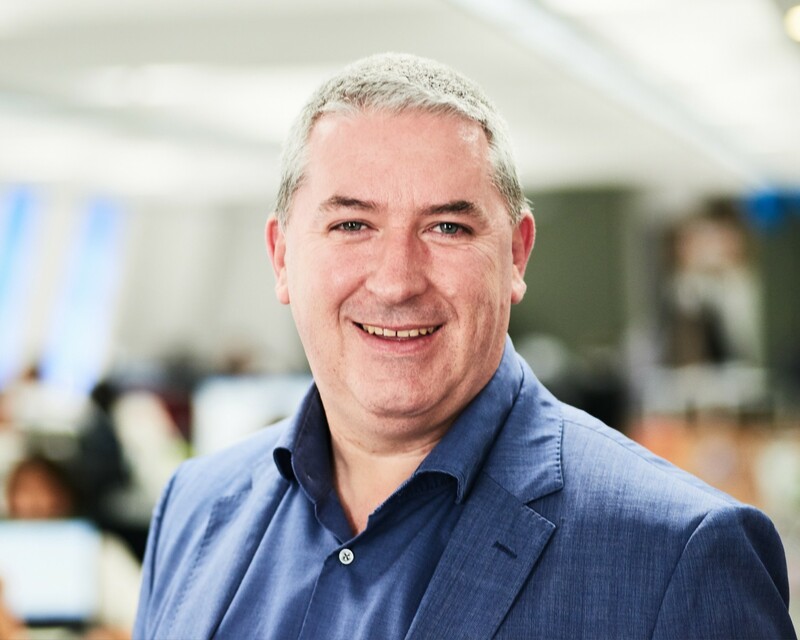 I had the pleasure of interviewing FinTech leader, Noel Moran, the CEO at PFS. Noel kickstarted his career in his teens after leaving school at 17 with no formal qualifications. His $1,000,000 Innovation Fund has attracted pitches from 4 continents and is a successful incubator. He recently achieved a triple crown of wins by beating 112,000 companies to win one of the world’s biggest Digital Technology prizes. He immediately followed this up by winning two more highly prestigious awards — an Entrepreneur of the Year Award for a continent and a CEO of the Year Award for a country. From humble beginnings in my tiny 1-bed apartment in 2008, PFS has scaled the heights of success over the past decade to become one of the world’s leading FinTechs in the prepaid space. I could not wait to leave school at 17 and start my career in financial services. Now, the business is live in 24 different countries with my teams in 4 offices in 3 countries which include an innovation hub and a technology laboratory. Last year, my wife Valerie and I were invited to Buckingham Palace in London to accept an International Trade award after being nominated by the Prime Minister and approved by Queen Elizabeth II. It was a memorable occasion and one that I will always remember. It was a million miles away from where I started as a kid who left school early. The one good thing going for me is that I was always good at Math. Like millions of people, I lost my job during the recession when the company I was working for folded. By then, I was in my thirties and this move turned out to be one of the most decisive moments of my life. I distinctly remember choosing to focus on the thriving prepaid payments sectors. I felt confident in the years of experience I had built up considering that I had started at the bottom of the ladder as a young man. It was not as easy as I had hoped at the start and I had very little money. Once I secured our first order for 5,000 cards and was paid up front, we were on our way to gaining major traction extremely quickly. Today, the sky is the limit for this company and we have a clear blueprint for our future trajectory within the Financial Technology ecosystem. I am not sure if this is funny or tragic but it is certainly an interesting tale and part of the folklore here at PFS. When I first started the business with Valerie, who was then my girlfriend, we were short of money and ended up avoiding our landlord. So, like all success stories, my dream came very close to never becoming a reality. A crucial part of being an entrepreneur is about being able to overcome challenges. I knew back then that there were only a few companies beginning to dabble in prepaid cards so there were multiple opportunities out there for a product that I firmly believed in. I also knew I would need an office address to look professional. I signed a lease on a very nice office. I had agreed with the landlord to get the first few months rent-free and the following few months at half the rent. This gave myself and Valerie a three-month runway to get some business before having to pay rent. The offices eventually helped us to attract clients and gave the impression we had money. However, one of the toughest and lowest points in my career came shortly after this, when we were three days from shutting down the business and walking away. Valerie and I had agreed to wrap up the business the following Wednesday if we did not get a client as we had stretched things out as far as we could and the landlord was knocking on the door for his rent. Wednesday came and went but a client did not. I remember walking back from lunch that day knowing we had less than 24 hours left as we had no rent money. But the entrepreneurial spirit went into overdrive again and I decided to hang out for as long as I could and try and avoid the landlord for a few more days. The following Friday, we signed our first client who luckily agreed to pay up front for 5,000 cards, which saved us, literally. There is a simple answer to this question. I trust my Managers to do their jobs and I expect everyone to be given clear objectives and coordinate with interdependent teams at all times in the best interests of our employees, our customers, and to use their commercial common sense. It is also vitally important to give your people the resources they need to effectively do their jobs. We have gained something of a reputation for hiring great people and I give top talent the reign they need to do what they know best. Cultural differences can sometimes be a challenge. However, we have a huge number of different nationalities working in the business and I see this as a core strength. It is rewarding to see multiculturalism celebrated in the offices through culture nights, writing up their inspiring life stories, and holding fun social events. In many ways, our various backgrounds and experiences bring us closer together. We have great festivities planned for the holidays in December when we will be flying in all teams to Ireland to celebrate the festive season in style to soak up the country’s legendary hospitality (and a few pints of Guinness may be consumed over the weekend). I would advise fellow CEOs and Founders to treat their employees well and look after them. I do not believe in giving lip service. Here, we like to say what we mean and we do what we say. It is also crucial to make everyone in the organization aware of the vision for the future so that we are all on the same page. Retaining good staff can be a challenge particularly with the jobs market right now as it is currently a job seeker’s paradise. Sometimes, I would say that people do not leave because of immediate Managers but probably due to that and the overall management structure. People are people, but you would hope the management structure can mitigate some of the issues. It is as simple as strategically navigating the choppy seas of financial services, to safely get to your intended harbor. We always have the endpoint in sight. How else can we reach our destination? Today, we are recognized by our peers as one of the leading digital technology companies in the world. This did not happen by accident. We set out to disrupt an entire industry and transform the culture of electronic money usage and mobile payments across the planet. Almost 5 million cardholders have experienced our FinTech innovations with this number increasing with every hour. We are on target to make 2018 our most successful year ever. The words “too little too late” are not in our vocabulary. We are big on allocating the resources required to ensure a project is delivered in a timely manner and meets the highest standards. We have combined our Mission and Vision statements to keep us accountable across a number of important fronts. “With a Mission to be a global market leader in delivering innovative and customized payment technology solutions and a Vision of efficient e-money solutions made easy, PFS’ Core Values encompass Integrity, Innovation, Customisation, Teamwork, and Community.” In addition, we must remember that everything we do comes down to also supporting the employment of hundreds of great people dedicated to evolving the future of Financial Technology. From Day 1 to today, we have enjoyed a 20,600% growth in staff numbers and this figure shows no sign of slowing down. Cut to the chase immediately and say straight out loud precisely how good or bad a situation is. As one of the fastest-growing profitable FinTechs in the world, we do not have time to waste. The same goes for time management and decision making. We just do not have time to have a meeting about a meeting or a call for the sake of it. I instill in all of my employees the importance of having control over how they prioritize and have control over their working day. It is equally important to the company to ensure our staff enjoy a high-quality work-life balance. We strive to have the right mix and a positive environment to reinvent the future of e-money for our customers. Most of all, I want to be treated like everyone else in the business and I hold myself accountable to set a good example when it comes to work ethic, communication style, timekeeping, an open-door policy, and being available to my hardworking teams. It is also nice to kick back and socialize with colleagues when I can between working from our offices in different countries and traveling for business meetings and guest speaking invitations. If I could start from scratch, I sincerely would. Like all agile companies, we were running as fast as we could at the start to keep up. Today, we have designed a fantastic structure around us built to handle robust scalability. It is just as well, as we are experiencing major traction. What did I learn in those tough early days? I would have brought a number of services in-house instead of outsourcing at great expense. I also would have started conversations with the regulatory bodies from Day 1, rather than just waiting for their review. Now, we routinely sit down and enjoy meaningful discussions with regulators in a number of continents. I make it clear that every triumph, whether it is a new client or winning an award, is a shared success. We have no time for egos around here. It is a “one for all and all for one mentality.” Within a couple of years of starting, we were already of one the fastest FinTechs in the world to make a profit. That was quite something considering that most Financial Technology firms are spoiled with investor cash and profitability is not even on their horizon. I am glad we never went down the Venture Capital route. Now, we want to push the boat out even further and challenge ourselves to become an international leader and the first company people think of when they need to innovate. Most of all, I want our people to get their work done and enjoy a lot of fun. As soon as we could afford to, we have been giving back as a company and have been recognised for our contribution to vulnerable communities around the world including Syrian refugees, young children in a war-torn West Africa, and the most economically deprived parts of London where 86% of residents in Tower Hamlets struggle well below the minimum wage. These humbling projects were successfully completed in conjunction with the International Federation of Red Cross and Red Crescent Societies (IFRC), the United Nations World Food Programme (WFP), the First Love Foundation, and Mastercard. Recently, our philanthropic projects have been Nominated for Best Under-Banked or Emerging Banking Solution in America and Nominated for a Social Responsibility award in the UK. Our 5-month long campaign with WFP led to 200,000 children receiving school meals in Mali, in West Africa. This was the first contract of its kind signed by the WFP with a prepaid FinTech. In addition, our solution helped over 6,000 refugees, migrants, and vulnerable citizens in Greece. We hope these actions will inspire others in the sector to drive their own initiatives to protect the very vulnerable in our world and create their own philanthropic movement. It has to be Alipay’s (Alibaba Group) CEO, Jack Ma, the Chinese payments colossus. Here is a man who is not shy about sharing just how many times he failed, until he did not. Today, he is worth a phenomenal $41 billion. The same as PFS, we were almost finished before we started but Valerie and I never gave up. So, this is a powerful quote that has a deeper meaning. “Never give up. Today is hard, tomorrow will be worse, but the day after tomorrow will be sunshine,” Jack Ma.